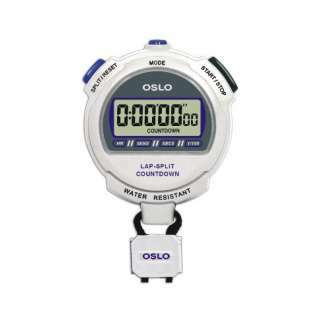 Combines a multi-mode Stopwatch with an easy-to-use Countdown Timer. Event, Lap or Split Timing. 1/100 second precision to 10 hours. Two Finish Timer Memory Recall. An unlimited number of time readings can be taken. Countdown Timer shows Time Remaining; Counts up at completion. Audible Alarm at completion of countdown. Countdown Timer range from 1 second to 10 hours. For quality timing products, take a look at other watches from Robic.